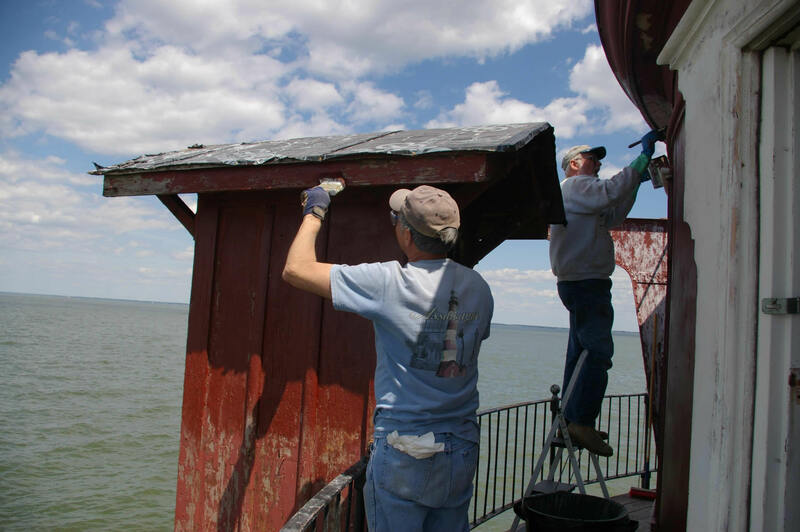 Help us and volunteer to preserve our heritage ! 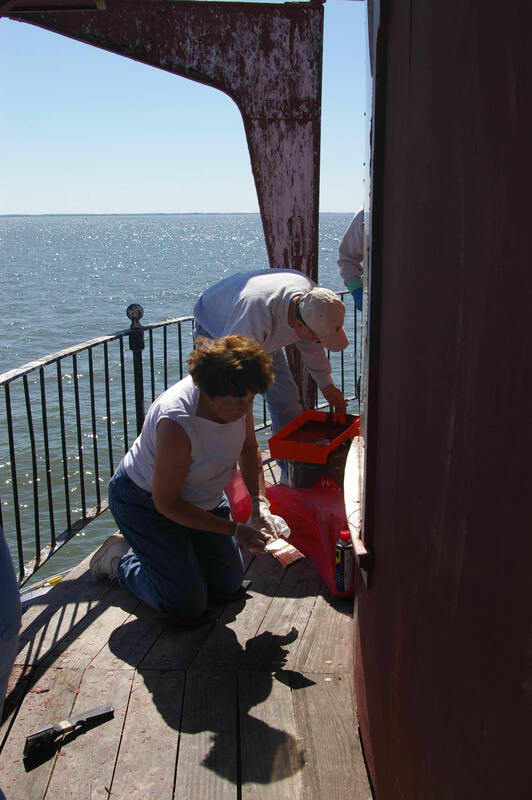 Chapter volunteers ventured out to Craighill Channel to assist the Historical Place Preservation group in their preservation efforts. For more information on the group visit www.craighillrange.org. Sound like fun? The Chapter's next workday at Craighill Channel has not been scheduled. To learn more about the Chapter's Volunteer Program, visit the Volunteer page on this site. 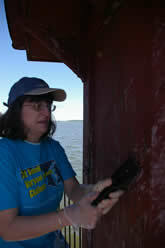 If you are ever in doubt about a date for a Chapter event, check out the calendar on the web site. 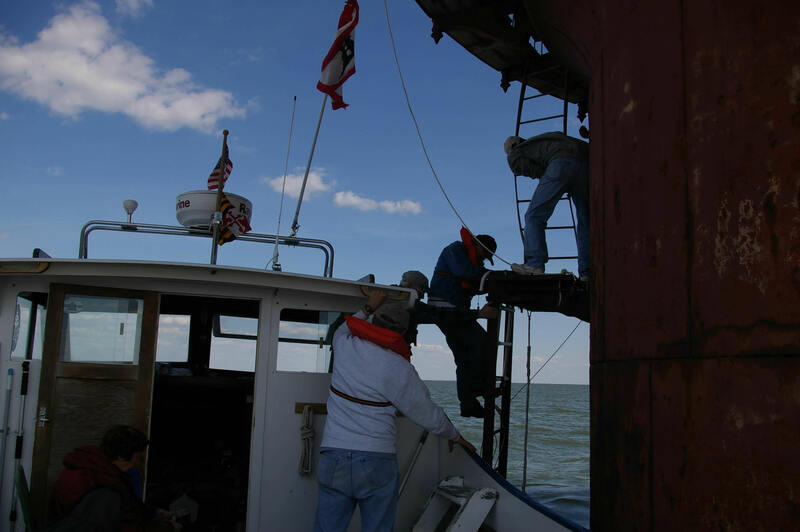 Photos courtesy of Anne Puppa. For A Larger View. Volunteers prepare to debark and climb up the lighthouse. For A Larger View. 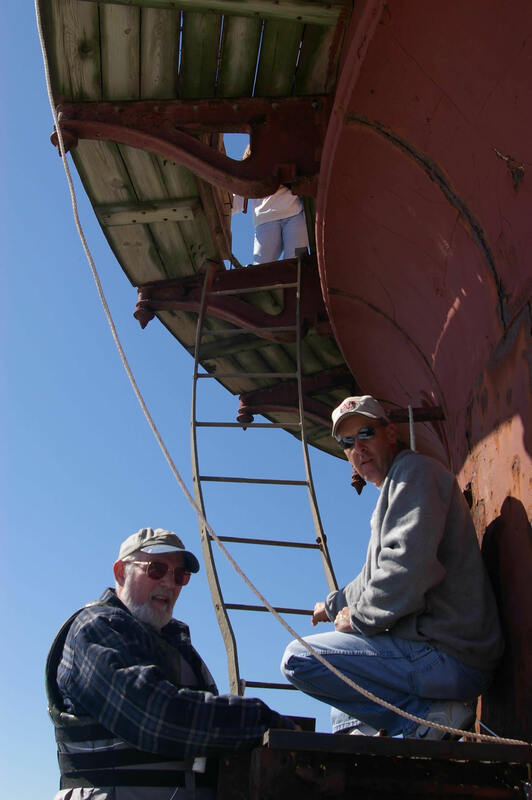 Volunteeers Al Smith and Jeff Suchomelly prepare to help folks board the lighthouse. For A Larger View. 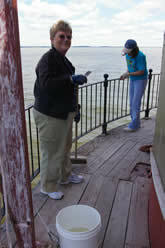 Cathy Lewis cleaning the deck. For A Larger View. 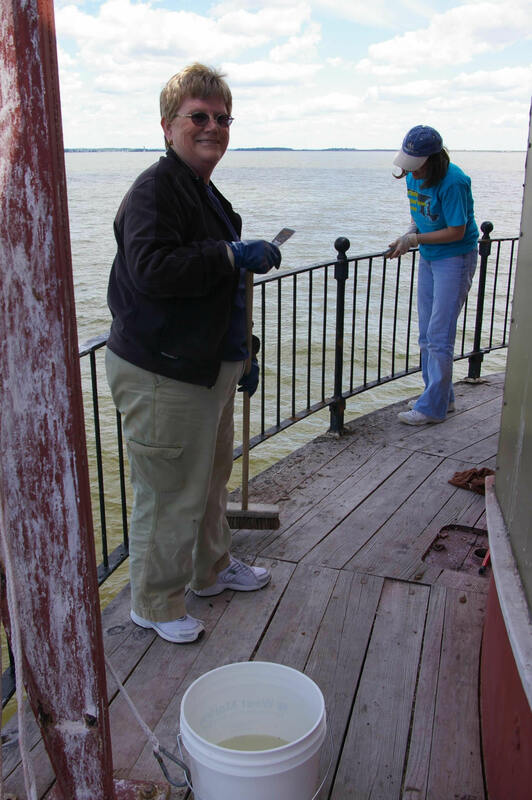 Volunteer Donna Suchomelly scrapes the Outhouse. For A Larger View. Who is that masked man? 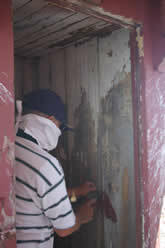 Volunteer Hobie works on outhouse. For A Larger View. Volunteer Al Smith works on painting the lighthouse. For A Larger View. 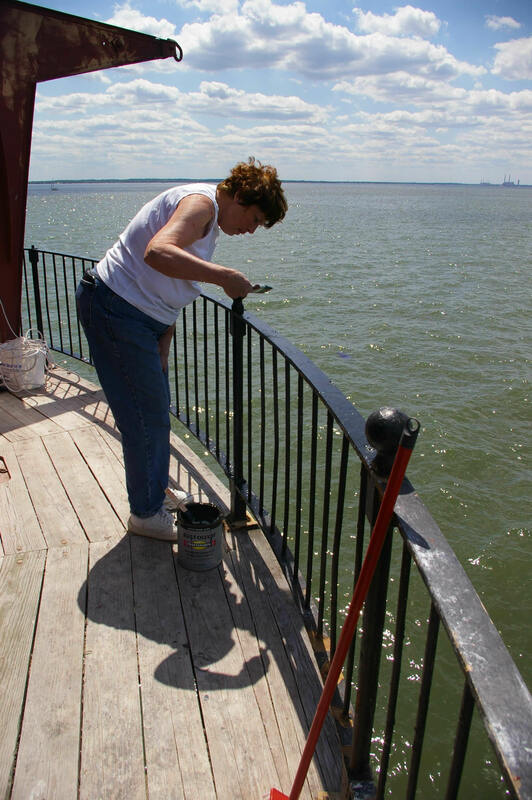 Volunteer Sherry Schnepte paints lighthouse. For A Larger View. 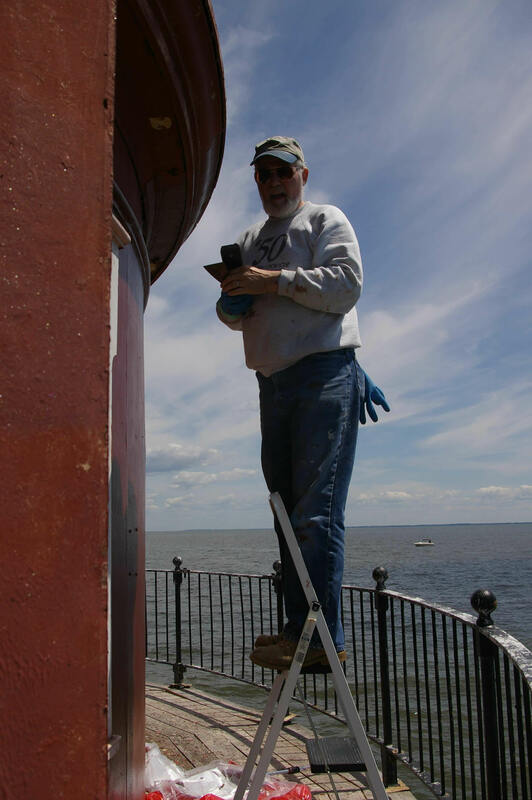 Volunteer Tony srapes Outhouse while Al paints Lighthouse. For A Larger View. 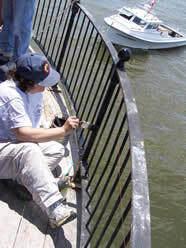 Volunteer Sherry paints the railing. For A Larger View. 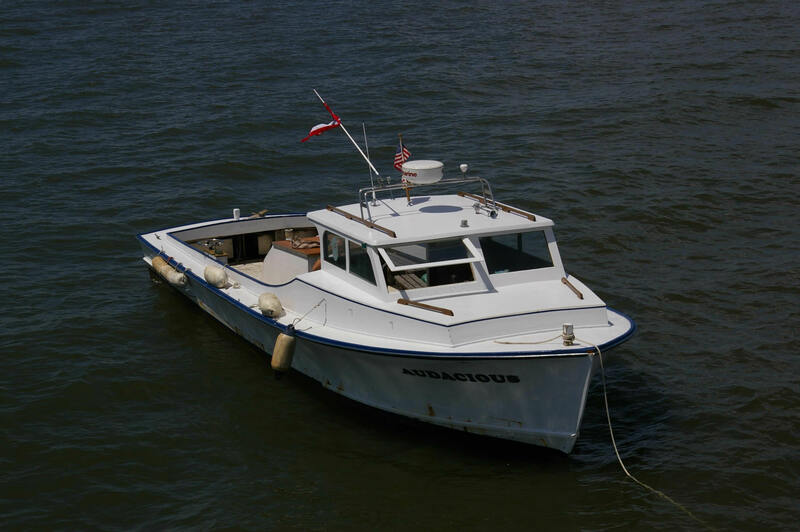 The Audacious sits off the light. 2003(c) Chesapeake Chapter, USLHS. All rights reserved.